Goalkeeper: Bernd Leno missed out on yet another clean sheet after conceding in injury time during the 2-1 win over Cardiff City in midweek, however, the German will keep his place ahead of Petr Cech against City. Defence: Arsenal have been handed a huge boost as Laurent Koscielny is set to return after taking part in training today. The Frenchman missed the win over Cardiff with a jaw injury but has made a swift recovery and should start alongside Shkodran Mustafi on Sunday. Nacho Monreal filled-in well against Cardiff but he should make way. Ainsley Maitland-Niles is expected to pass a late fitness test to return at right-back after recovering from a minor knee problem so Stephan Lichtsteiner should drop out while Sead Kolasinac will once again start at left-back. 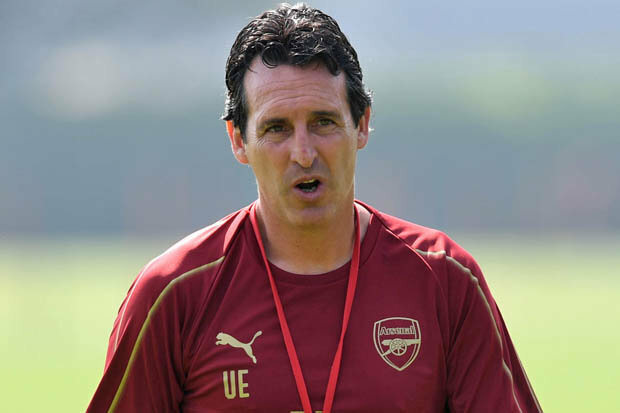 Midfield: Emery has been lining-up with a diamond midfield recently but it’s not always proven to be a success and I think he’ll switch things around against City on Sunday with Lucas Torriera alongside Granit Xhaka in front of the defence. Matteo Guendouzi was one of Arsenal’s better players against Cardiff but he may be the man to miss out in the formation change with Aaron Ramsey playing in the more advanced midfield position. Attack: Mesut Ozil put-in a decent display in midweek but I don’t think we’ll see him starting against Man City. Emery has axed the playmaker for away games recently so I think the best Ozil can hope for is a place on the bench. Denis Suarez completed a loan move to Arsenal from Barcelona on deadline day and Emery has hinted he’s ready to include the midfielder in the squad this weekend after he trained with his new team mates today. It would be a huge risk to start him but I think Suarez will be on the bench. Alexandre Lacazette and Pierre-Emerick Aubameyang have been playing as a front two recently but I think Arsenal will switch to one up front away to City with Aubameyang the most likely to be deployed from the wing. Alex Iwobi could come in to the attack as Emery likes the Nigerian’s hard working approach in his pressing system. Henrikh Mkhitaryan is back in contention after recovering from a foot injury but I think he’ll be on the bench after over six weeks on the sidelines. As an arsenal fan victory is all I hope for.Sincerely speaking I don’t like seeing a fit Oil on the bench. He may not be hard working but he is highly intelligent and this matters much in football. There would be no risk in playing suarez, he is better than any of the other options.